COLLEGEVILLE, Pa., Dec. 12, 2017 /PRNewswire/ -- ToothShower is an innovative complete oral care solution for the shower created by dental hygienist Lisa Guenst. The product has seen significant pre-sales, earning more than $181,000 during their launch on Kickstarter, which ran from October through the end of November. ToothShower is now available on Indiegogo. ToothShower is great for dental care because it targets the areas of the teeth and gums where gum disease starts that a traditional toothbrush is missing. Plus, it's right in the shower so no mess for busy families. Using the water from the shower, ToothShower cleans 100 percent of teeth surfaces, as compared to 60 percent of surfaces with average brushing. 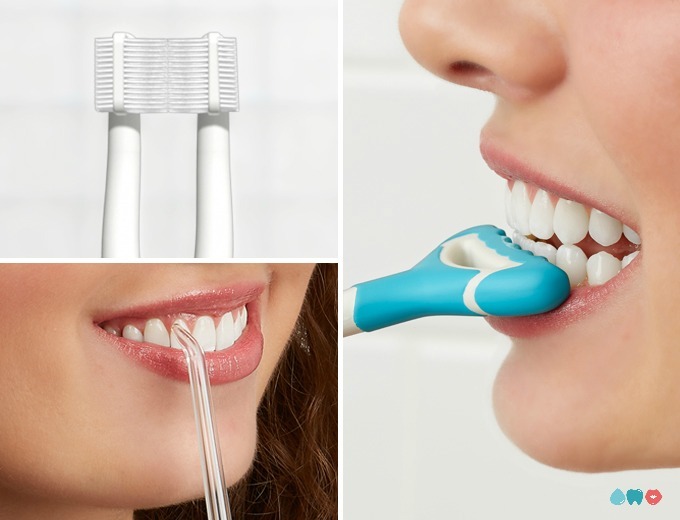 ToothShower offers three kinds of cleaning in one care solution - a dual-headed toothbrush, an irrigating tip and a gum massager. The dual-headed toothbrush hits both the front, back and chewing surfaces of teeth. The irrigating tip flushes water between teeth like a water flosser but without the mess to clean up. ToothShower works especially well for braces and to pinpoint spots that a toothbrush can't reach. Finally, the gum massager works with seven jets of water to stimulate important blood flow in the gums, which is a huge part of preventing and even healing gum disease. "We've been excited about the early pre-sales of ToothShower and the interest people have taken in ordering the product," says Guenst. "Because of my work as a dental hygienist for more than 25 years, I know firsthand the challenges people have with flossing so I wanted to create a product that was effective and easy to use. ToothShower also makes for a great gift this holiday season." ToothShower has also been getting recognition from the dental community. The product has been featured in articles published in three dental journals along with a mention in the University of Pennsylvania's dental journal. ToothShower's oral health benefits are important as the Center for Disease Control notes that 50 percent of Americans over age 30 have periodontal disease, which is chronic inflammatory disease that affects the gum tissue and bone supporting the teeth. If this is left untreated, periodontal disease can lead to tooth loss. Research has also shown that periodontal disease is associated with other chronic inflammatory diseases such as diabetes and cardiovascular disease. In a letter to the Associated Press, the government acknowledged the effectiveness of flossing had never been researched, as required. The AP article noted that after looking at the most rigorous research conducted over the past decade, focusing on 25 studies that generally compared the use of a toothbrush with the combination of toothbrushes and floss, the AP found the evidence for flossing is "weak, very unreliable," of "very low" quality and carries "a moderate to large potential for bias." But researchers and dentists know that finding an easy but effective method for oral health is necessary for the health of gums and teeth. ToothShower provides the solution. Those interested are encouraged to lock in their orders early because of the limited number available under the pre-sales and some categories are quickly selling out. Those who purchase ToothShower as a gift will receive a gift certificate upon request at info@toothshower.com. The product is slated to be delivered to consumers in May 2018. 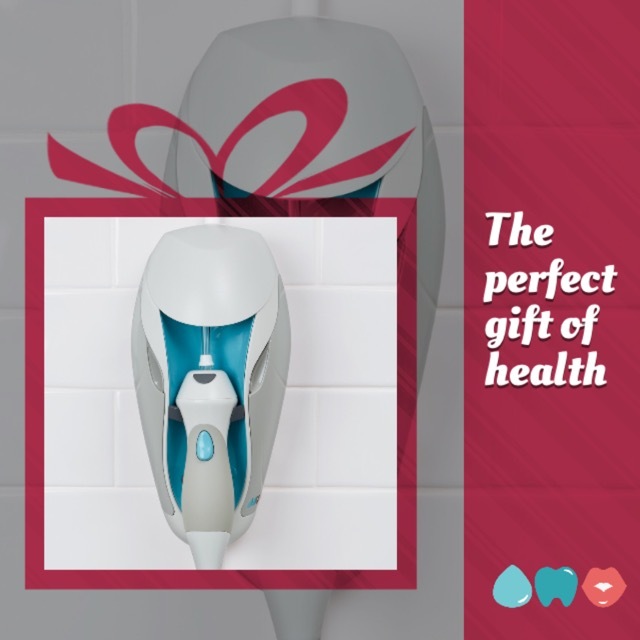 To learn more and make a pre-sale purchase on Indiegogo, visit ToothShower.com. 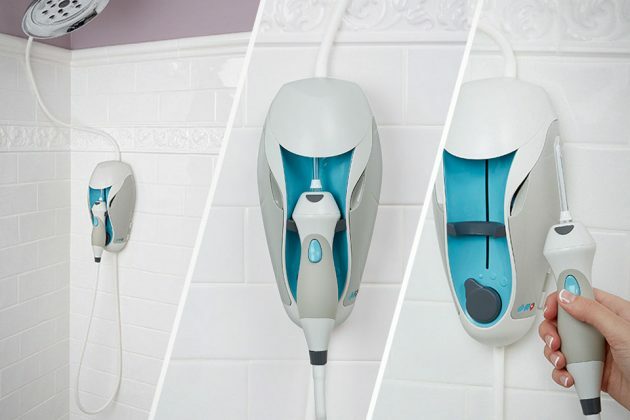 ToothShower is a complete oral home care suite for the shower. The company was founded and the appliance invented by Lisa Guenst. Guenst has degrees from the University of Pennsylvania and Temple University. To learn more, visit ToothShower.com.